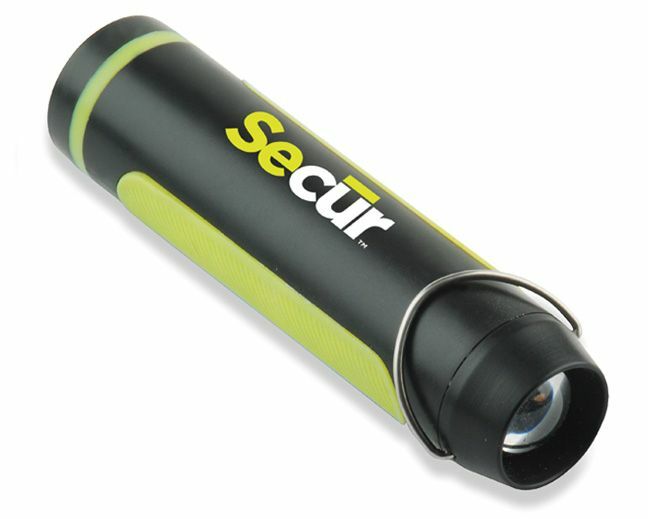 When it's time for an adventure, don't leave home without your own personal light and Power Bank from Secur. This compact accessory is a flashlight, lantern, and charger all in one. The 150 lumen LED light will illuminate those pitch black nights, while the built-in power bank will charge your smartphone when your battery is low. Flashlight/Lantern/Powerbank When it's time for an adventure, don't leave home without your own personal light and Power Bank from Secur. This compact accessory is a flashlight, lantern, and charger all in one. The 150 lumen LED light will illuminate those pitch black nights, while the built-in power bank will charge your smartphone when your battery is low.